The effective sanitation of toilets and sinks can mean better health and wellbeing for employees, clients and customers alike. Here’s why it pays to keep things clean in any workplace, whether it is a school, airport, hospital, restaurant or aged care facility. Reason 1: Clean facilities make it more difficult for germs to spread. If staff fail to wash their hands properly after each and every bathroom visit, they could be passing on salmonella, E.coli, influenza, Norovirus and even Hepatitis A to customers or each other. That’s not something anyone wants as a side with their meal! Be sure to provide everything staff need to maintain effective hand hygiene, including clean and warm running water, soap and hand sanitiser and either paper towels or electric hand dryers. Reason 2: Great hand hygiene can mean fewer sick days. Of all the productivity tools in the workplace, a clean toilet is perhaps the last one to be considered. However, research by the Centre for Economics and Business Research predicted that inadequate office hygiene costs Aussie businesses $11.4 billion annually, with the average worker taking 1.6 sick days every year due to inadequate hygiene at work. Apparently, only one in four office workers wash their hands after a bathroom visit. If you can provide everything needed for great hand hygiene including reminders on how to wash hands effectively, you could be boosting productivity without even realising. Reason 3: A clean bathroom reflects the quality of your brand. 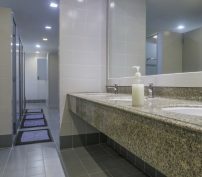 Whether you’re visiting a fine dining restaurant or a major airport, a lot can be perceived by the condition of the bathrooms. General cleanliness aids brand perception and customer satisfaction. Wouldn’t you prefer to eat in a restaurant where the surfaces are sparkling and there’s a high speed hand dryer to quickly dry your hands? There’s also a similar case for employee retention. That same study from the Centre for Economics and Business Research found that two out of five employees would find greater job satisfaction if workplace hygiene improved. Reason 4: Employees have the right to a hygienic workplace. For anyone still asking “Why is workplace sanitation important?”, there can also be legal and financial implications to an unclean workplace. 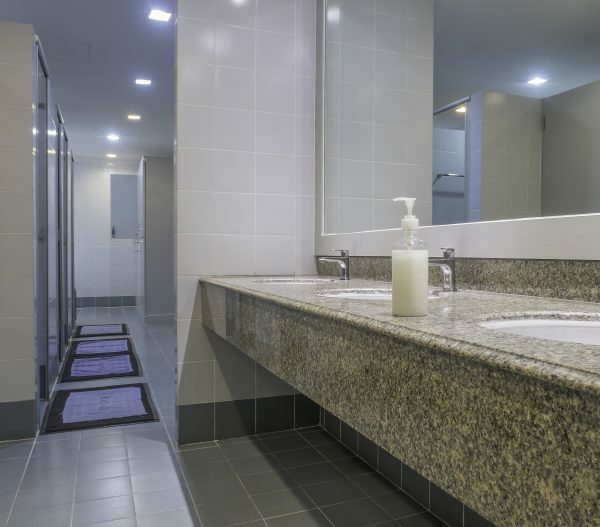 If a business is failing to provide clean amenities for their employees then chances are they’re breaching WorkSafe requirements within their state. There must be enough toilets available for the workforce; any broken facilities should be fixed promptly; and consumables like soap and toilet paper should be replenished regularly. The importance of sanitation should be crystal clear to any employer when it directly affects staff health, productivity, company perception and profits.